If you have been the victim of an automobile accident, slip and fall, or other personal injury case in Las Vegas, one of the first questions you may have is “what is the value of my case?” The value of your case is based on the damages you have sustained as a result of your accident. There are two types of damages, compensatory and punitive. Compensatory damages are meant to do just as they sound: compensate the victim of a personal injury. Compensatory damages include medical bills, lost wages, and other out-of-pocket expenses that are easily calculated. Compensatory damages also include pain and suffering, emotional distress, and other damages that do not have an easily identifiable dollar value. It may take substantial negotiation or even litigation to fully ascertain the proper value of these damages. In order to maximize the value of your personal injury case it is important to immediately seek all of the necessary medical treatment. If you delay treatment you not only devalue your case, but you may also preclude yourself from being able to recover the cost of any related medical treatment you do receive in the future. Many doctors will treat you for injuries sustained in a personal injury case at no out-of-pocket cost to you. Instead they will place a lien on the case and will be paid directly out of the settlement or judgment once payment is received. Punitive damages are covered under NRS 42.005. In Nevada, punitive damages are capped at $300,000 if the compensatory damages are under $100,000, and three times the compensatory damages if the compensatory damages exceed $100,000. These limitations do not apply in product liability, insurance bad faith, and radioactive or hazardous material cases. Punitive damages are rare, and are most common when a victim is hit by a drunk driver. 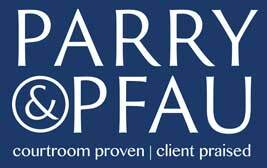 Attorneys at Parry & Pfau can help you maximize the value of your personal injury case. Call Them now at 702-879-9555. Newer PostHow Long Do I Have to File My Personal Injury Lawsuit?